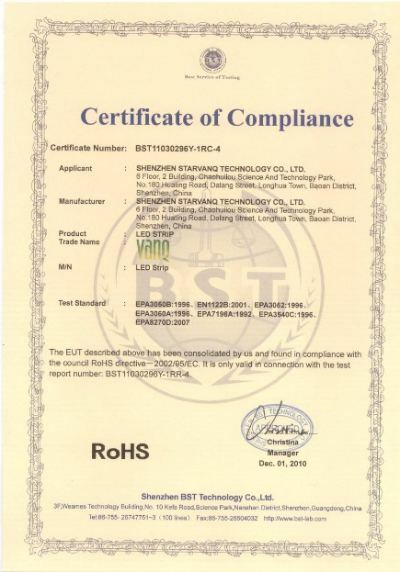 Company Overview - Shenzhen Starvanq Technology Co., Ltd.
9YRSShenzhen Starvanq Technology Co., Ltd.
Shenzhen StarVanq Technology Co., Ltd. is a national high-tech enterprise. 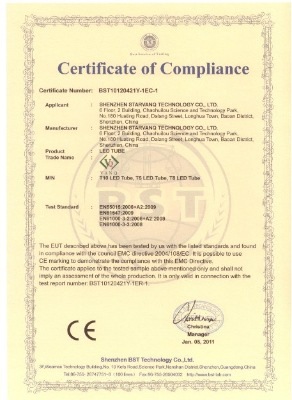 We have imported automatic production lines and more than 200 sets of advanced testing equipment. 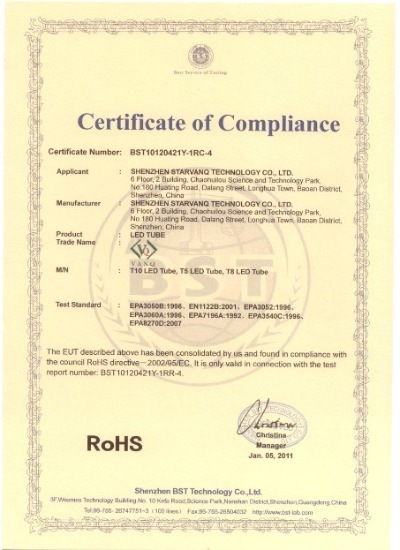 The investment in fixed assets is above than RMB 120,000,000. 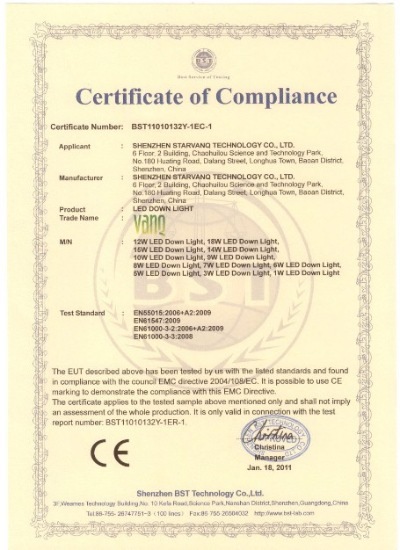 Now we have developed into a large-sized enterprise integrating the research, production and sale of 1-500w high power LED,LED grow light,LED high bay light,led grow strip,led grow tube.etcWe have already got ISO9001:2000 quality management system certification and ISO14001:2004 environment management system certification. 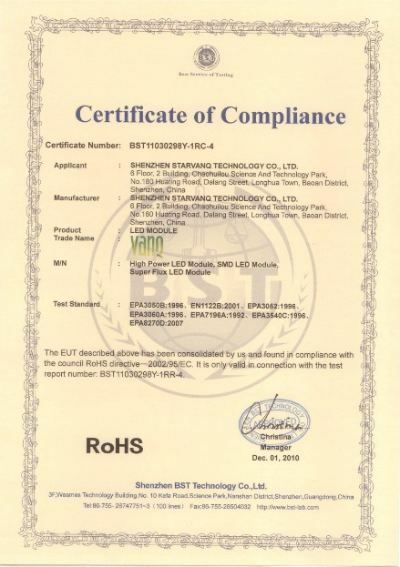 We comply with UL, CE and RoHS standards. 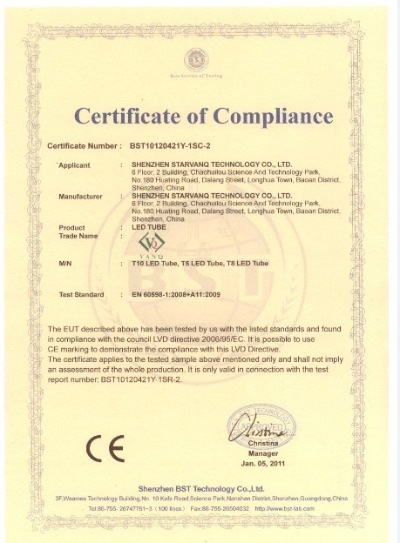 We cooperate with Huazhong University of Science and Technology - the National Photoelectric Lab to build up a semiconductor R&D center, which concentrates on domestic LED lighting industry. Nowadays, our R&D team includes 8 doctoral and postdoctoral members, 23 members with master's degree and 100 technician members. 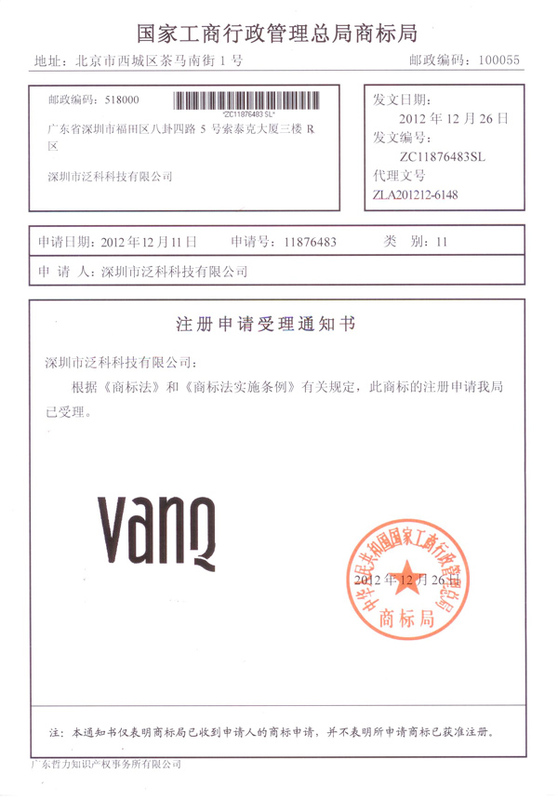 We have been granted 58 patents worldwide. 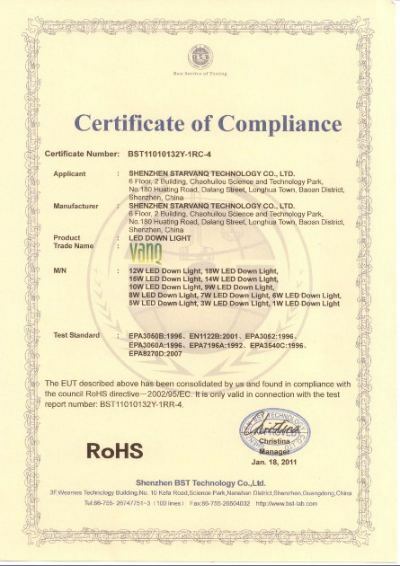 Our LED streetlights have been entirely conformed to national street lighting standards in energy saving, luminance, evenness, safety and IP grade. 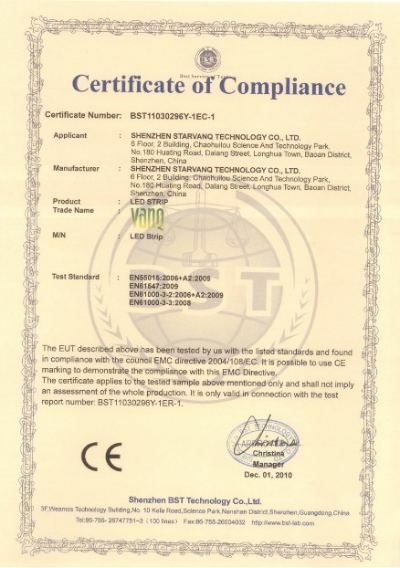 We have obtained CE, UL and CCC certifications. 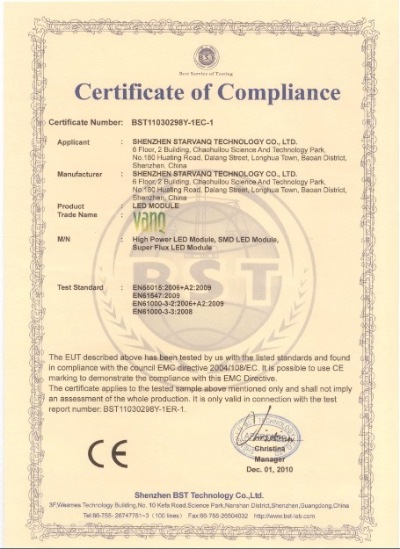 Our streetlights have been put into use at home and abroad for two years with good working condition and significant energy-saving effect.In June of 2007, we improved fruitfully in enterprise management. "Technology leading oriented, brand making driven" is our long-term pursuit. 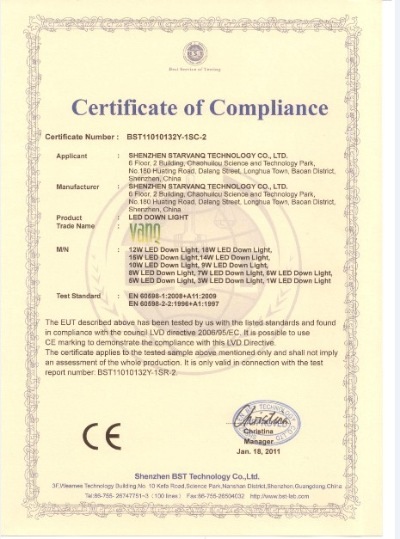 We will improve ourselves continuously in the near future to build the flagship in LED lighting industry!